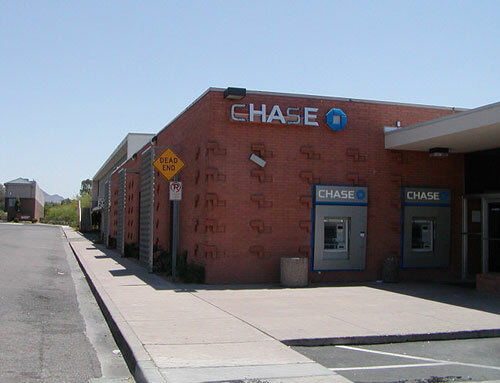 This former Valley National Bank on 16th Street just north of Camelback, next door to Ajo Al's, is admittedly not a classic work of architecture. 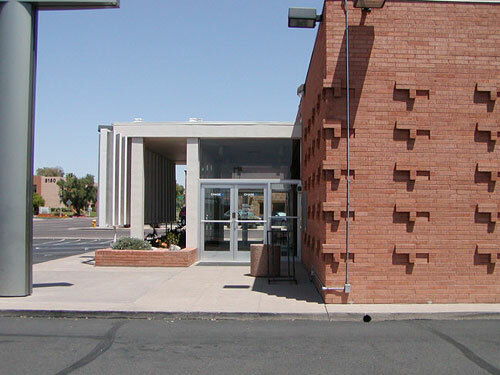 The original bulding dates from the mid-1950s and is the work of Richard Drover, of Weaver and Drover; the addition is of later vintage, maybe 1972. 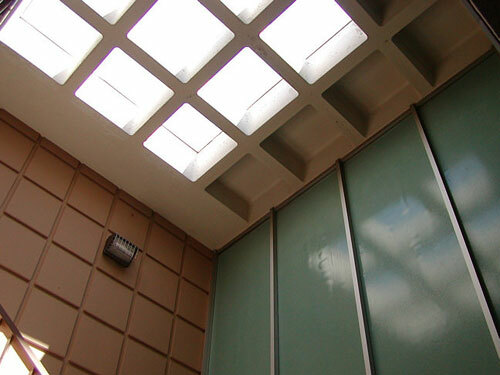 Totally rectilinear. It has some nice features of the period, visible in these photos. 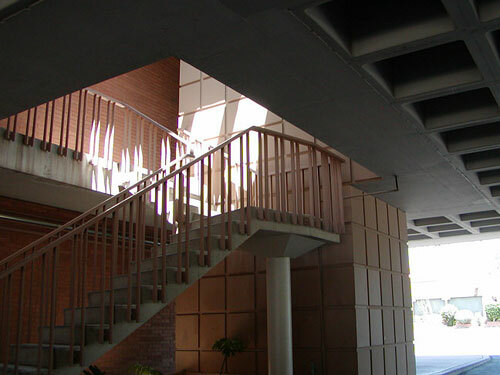 The brickwork. 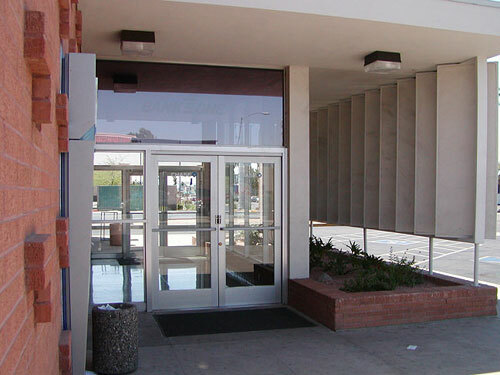 The racks of shade-cans covering the north windows are a quote from the Palm Springs City Hall and, since they're on the north side, are completely unnecessary. 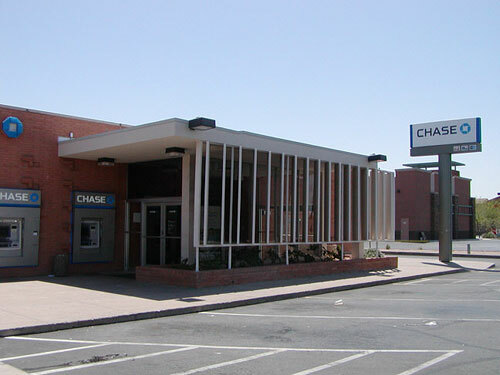 This bank is well-maintained and I don't wish it ill, but let's just be honest. 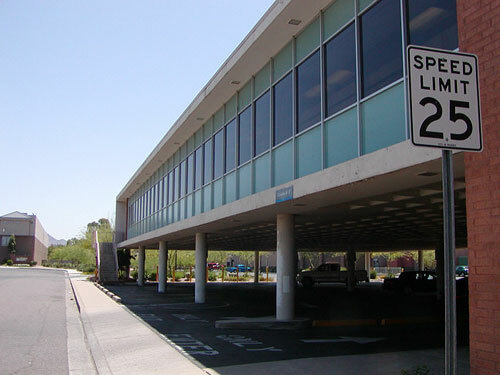 As a single building design, as a single shape, it doesn't hang together, and is anonymous to the point of being hard to see. Which makes it an excellent contrast for these others. The single remarkable thing about this branch is a long regular modernist office building with those IBM-looking faded blue-green panels, growing out the back, and balanced gracefully, sort of, on thin columns. It's obviously a later addition. 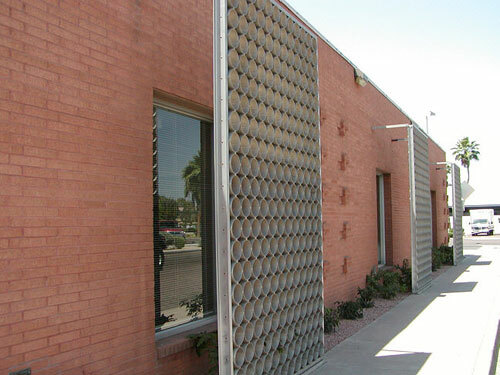 Erase it mentally, and the original brick building snaps into correct massing and proportion. 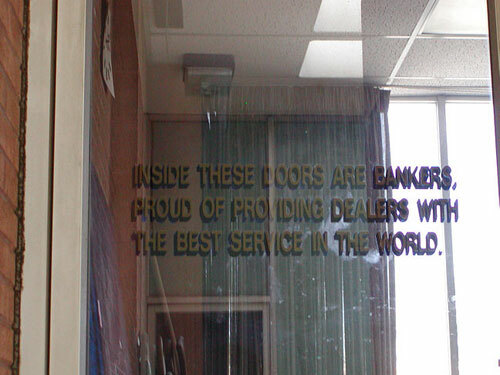 "Inside these doors are bankers, proud of providing dealers with the best service in the world."